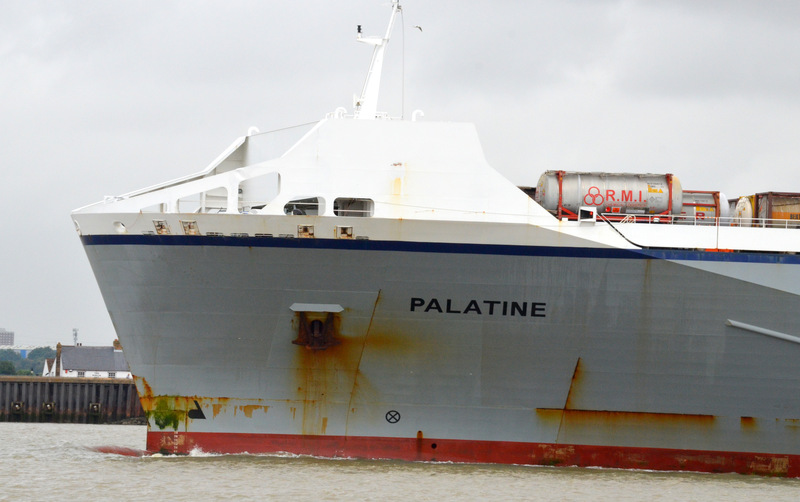 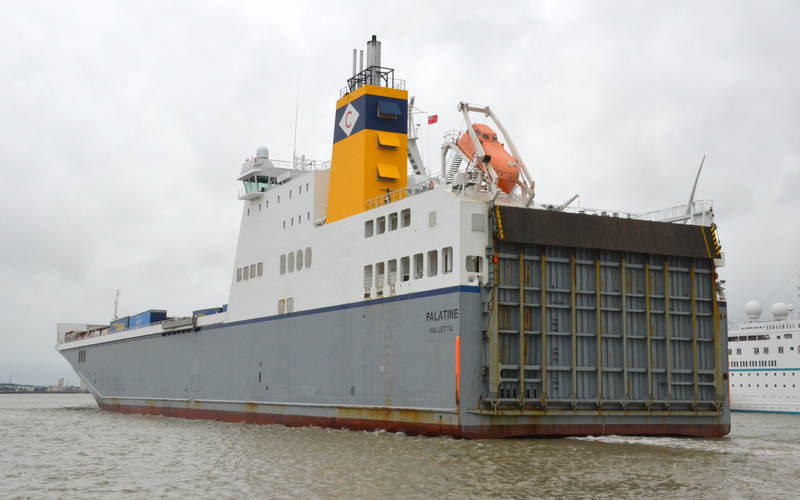 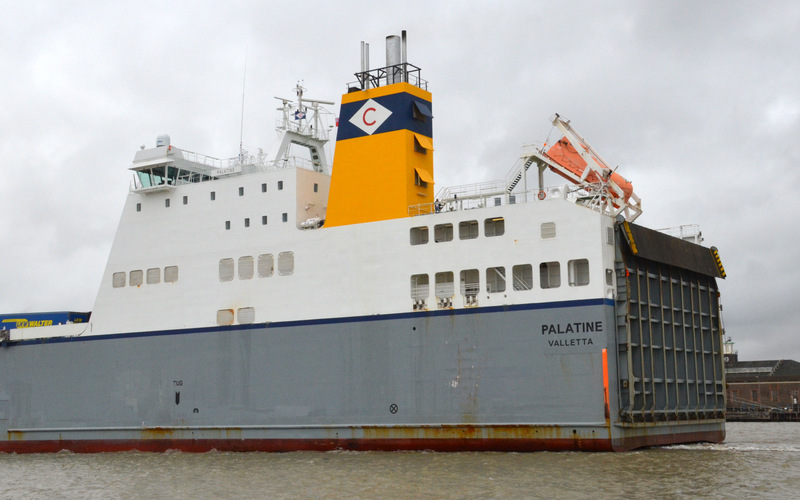 The ro ro ferry PALATINE arriving from Rotterdam on 2/8/2016. 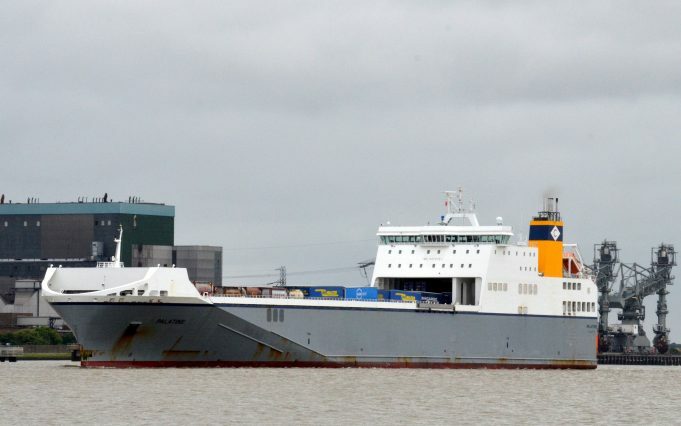 She was built in 2009 at 25,593 grt. 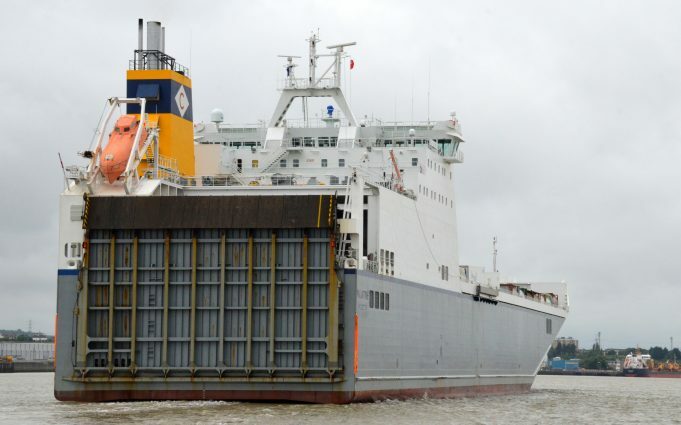 The photographs were taken from the ferry and clearly shows the rear loading ramp.